When it comes to flooring for your home, there are a lot of different choices. Are you wondering what the best choice is? Bamboo is a beautiful addition to your home. It is surprisingly hard, more resistant to water damage than most woods and just as durable as hardwoods like maple and oak. Bamboo is a great flooring choice, but like anything else, it needs to be properly cared for. Take a look at the tips below to help maintain and keep your new bamboo floor looking great. It’s important to clean up any spills right away. Bamboo has properties that are similar to wood flooring, and because of this, clean up any liquids as soon as possible and never leave any standing water on your floor. Additionally, do not use a wet mop on a bamboo floor. We recommend having area rugs in specific areas in your home, especially high traffic areas like in front of kitchen sinks. When deciding what rugs to use, do not use ones with solid rubber or vinyl backings. Instead, find rugs that are made of a breathable material, so you do not trap moisture underneath. A breathable rug underlay is also important. Another great way to protect your new bamboo floors is by having both interior as well as exterior doormats at entrances. This will help prevent both moisture and dirt from being tracked onto your floor. Encouraging guests and family members to remove shoes will also help to keep your floor clean and in good condition. In order to make sure your furniture does not scratch the floor, use felt tips or protective caps. Any rolling furniture should have soft rubber casters. Make sure not to slide heavy furniture and appliances, but lift them when they need to be moved. Use blinds and curtains in areas that are exposed to high UV rays. This will help to limit direct sunlight on the floor. Your pets’ nails can easily scratch your floor. Make sure that you keep their nails trimmed in order to avoid leaving unsightly scratches and marks on your new bamboo flooring. Your interior humidity should be maintained between 40 and 60 percent humidity in order for your bamboo floors to last as long as they can. Use a humidifier or dehumidifier if you find that the humidity of your home is above 60 percent. It’s important to clean your bamboo floor often because the things that cause the most problems are tiny particles of sand and dirt that are tracked in from shoes. As these particles get walked over, they can dig down into the floor’s finish, causing dents and scratches. If you have bamboo flooring in a room that is a heavily trafficked area, you may need to clean it daily. Make sure to not use a vacuum that has a beater bar. It’s also important to use a broom with soft bristles and a mop that is either dry or only slightly damp. Most hardwood floor cleaners are ok to use on bamboo flooring, but it’s important to check the label. The products you use should not contain wax, and should also be non-alkaline and non-abrasive. It’s also important not to use oil soap or scouring powder. If you do use a cleaning agent that needs to be mixed with water, make sure you follow the directions carefully. While bamboo is more resistant to water damage, it can still be warped if it’s exposed to excessive moisture. Use a Clean Rag or a Sponge: Dip a sponge or clean rag into the solution and wring it dry, so it’s only slightly damp. It’s important not to let the cleanser pool or puddle and to apply it evenly. Make sure to wipe up any excess moisture with a dry towel. Consider Using a Natural Cleaning Solution: Instead of a commercial product, mix 1/4 cup of white vinegar with a quart of water. Apply it the same way as you would a commercial cleaner. Cleaning Scuff Marks: Scuff marks are the hardest stain to clean. The best way is by using a little bit of wood cleaner onto a rag and then rubbing it into floor directly on the scuff mark. It takes some time, so make sure to be patient. Do not use steel wool or an abrasive pad. We hope these tips were helpful. 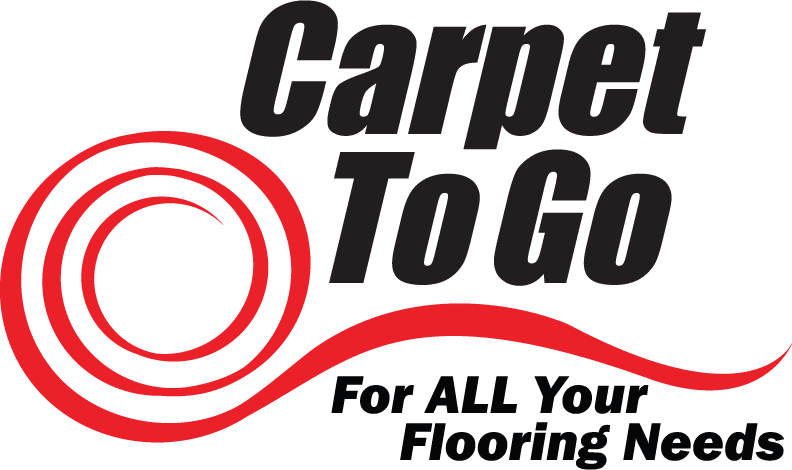 If you’d like more information on caring for your bamboo floor, or are in need of new flooring, contact us now to find out more!